The tax take for last year reached a "historic high", Finance Minister Michael Noonan has revealed. At €47.86bn, it surpassed the previous peak in 2007. While it was €639m above the target set when Budget 2016 was announced over a year ago, it came in slightly lower than the updated forecast announced when Budget 2017 was delivered in October, thanks in part to a €150m corporation tax refund to one company. Income tax receipts were 0.9pc above target for the year, but VAT receipts were 3.4pc below target, with lower-than-expected inflation being partly blamed. Department of Finance principal officer John Palmer said it was hard to say whether the weakness in sterling and cross-Border shopping had contributed to the fall-off in VAT versus the forecast. "If you look at excise, alcohol, which is normally one of the products for cross-Border shopping, has held up very well, and is ahead of profile in year-on-year terms," he said. However, excise was below forecast by 7.1pc in December. Experts said the Government's finances had ended the year on a solid footing. On an annual basis, corporation tax receipts were 11.1pc higher than expected at €7.35bn, and up 7pc year-on-year. 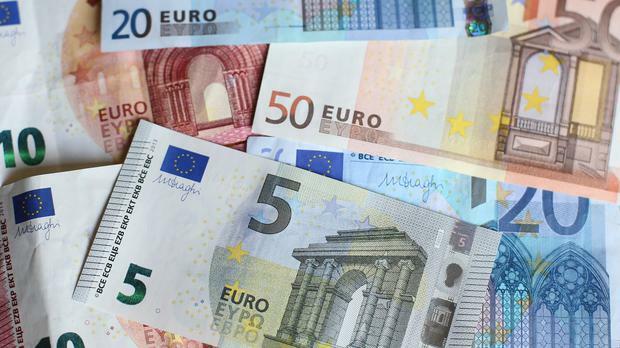 The deficit was just over €1bn, compared with €64m the previous year, due to a fall in the amount of banking-related receipts, increased spending and lower non-tax receipts. Stripping out the one-off capital receipts from banking-related transactions from 2015 and 2016, the deficit improved by €864m. Mr Noonan said the amount of tax collected last year provided "not only for the extra expenditure incurred in 2016 but for the substantial tax reductions announced in the Budget in October 2015 and delivered during the course of 2016". "The amount of tax collected in 2016 is at a historic high," he said. However, Ian Talbot, chief executive of Chambers Ireland, said the figures provide a "timely reminder" that in spite of a strong economic recovery, Ireland is still dependent on external borrowing to fund the running of the country. David McNamara, of Davy Stockbrokers, said the returns show continued strong growth in tax revenues. Peter Vale, of Grant Thornton, said tax receipts show the Exchequer in a strong position going into 2017. Meanwhile, a payment from Apple, due after the European Commission decision that it owed around €13bn in back taxes, was scheduled to be made on Tuesday into an escrow account but has not yet been done. The department said it was working to come up with the precise figure and the commission was satisfied with the progress.